The UWA Boat Club Committee are a group of tireless volunteers who keep the club running behind the scenes. Get to know their faces and say hello when you see them around the shed. 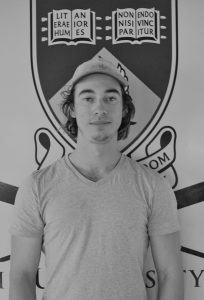 Rowing History: Jeremy joined UWABC in 2011 as a Novice after rowing at Aquinas for a year. 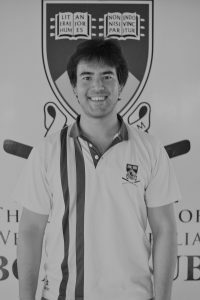 His favourite rowing moment is still winning the Men’s D Eight during his first year at the club, though his first row at Bunbury in a single comes a close second. The course is curved, so the umpires had a lot of (loud, angry) input for his steering. The friends he made during that first year was the reason he returned for a second, and is still a part of the club today! Fun Fact: His other hobby is eating. 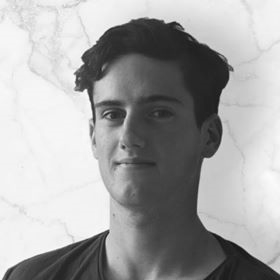 Rowing History: Max joined UWABC in 2015 after rowing at Christ Church Grammar School since 2011. 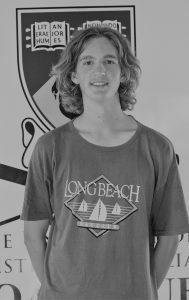 Since then he has coxed countless successful crews, including the interstate Kings Cup and Men’s Youth VIII. His favourite moment though was UWABC winning the C grade VIII at State Championships after the crew had come second all year. Fun Fact: Before moving to Perth Max lived in Tokyo and Hong Kong. Rowing History: Tiffany joined the club as a Novice during her first year of uni in 2014. Since then she has won silver at Unigames and competed as a lightweight for the state in the Victoria Cup. Her favourite aspect of the club is its history and traditions. She loved being able to row the same wooden boat her dad won the Men’s State VIII in 20+ years earlier, it really made her appreciate all the much newer (and lighter!) equipment in the shed. Fun Fact: A lecturer once told her that napping is an unhealthy habit. She refuses to believe it. 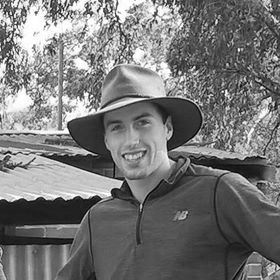 Rowing History: Sam joined in 2015 as a Novice man, and since then has competed at the Sydney International Rowing Regatta. Possibly Sam’s best moment was towing his coach back into shore after he had run out of fuel, using only his single scull. Talk about resistance training! Fun Fact: In his spare time Sam enjoys spending time with his bee colony. 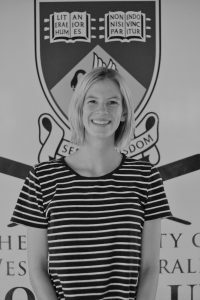 Rowing History: Sophie joined the club in 2014 after rowing at Methodist Ladies College since 2010. 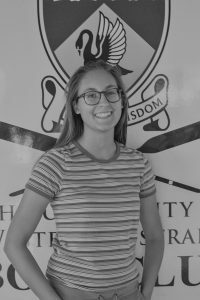 Her favourite rowing moment was coming 2nd in the underdog C grade VIII at the Rowing WA State Championships – beating the stacked UWA crew in the process! Fun Fact: Soph has a huge phobia of stingrays/rays in general. Rowing History: Joe took up rowing in 2009 at Trinity College, he joined the Men’s Open squad in 2014. His favourite rowing memory was being able to eat real food again after coming 2nd in the Lightweight Mens 4- at Unigames in 2017. Fun Fact: Joe can dislocate his shoulders at will, and sometimes they will half pop-out while he rows. Rowing History: After rowing at Hale School for 4 years, Angus joined his sister at UWABC in 2017. His crowning moment was safely making it back to the shed after towing the boat trailer back from Champion Lakes after the State Championships, he had never even towed a trailer before! Fun Fact: Angus has snowboarded on 12 different mountains. Rowing History: Lynne became a racing member in 2014 after completing the UWABC Learn 2 Row program the previous year. Her most terrifying moment was being in a single at Bunbury for her first ever race. Coming last at least meant the umpires directed her the whole way! 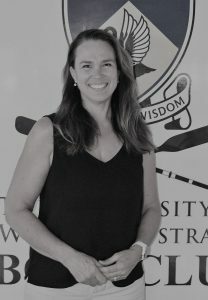 Since then she has rowed on Lake Bled for the World Rowing Masters Regatta in 2017 and won the State Masters D VIII in 2018. Degree: Many moons ago Lynne completed a Bachelor of Business (IT), and now works as a Librarian at North Cottesloe Primary School. Fun Fact: In a previous life she entered the Miss Australia Quest! 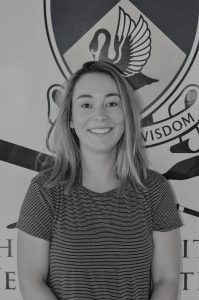 Rowing History: Kate joined the club during her first year of university in 2017, after rowing at Penrhos College since 2011. She has loved meeting all the wonderful people that she gets to call her friends at UWABC, and seeing them every week (it’s corny but true!). 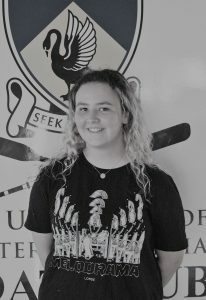 Rowing History: Izzy joined the club in 2018 after rowing for four years at Perth College. Her favourite aspect of the club is, of course, the Bunbury After Party! 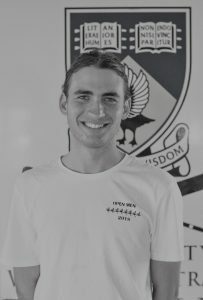 Rowing History: Harry started off coxing at Hale School in 2013, after a brief stint at the West Australian Rowing Club he joined UWABC as a rower in 2018. His favourite moment at the club was finding out he had won the Men’s C VIII at Bunbury by only 0.24 seconds, an hour after the race had finished! It was one of the first times he had ever rated over 30 spm. Fun Fact: Harry (affectionately known as Cookie) has never broken a bone – how safe! 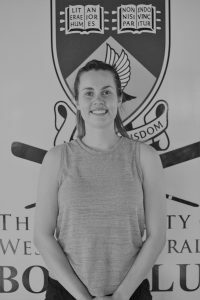 Rowing History: Rachael joined the club in 2016 as a Novice woman. Her favourite memories of the club involve rowing with dolphins during mornings where the water is flat and glassy, and there is a beautiful sunrise. Fun Fact: Sometimes her laugh ends up sounding like flipper!